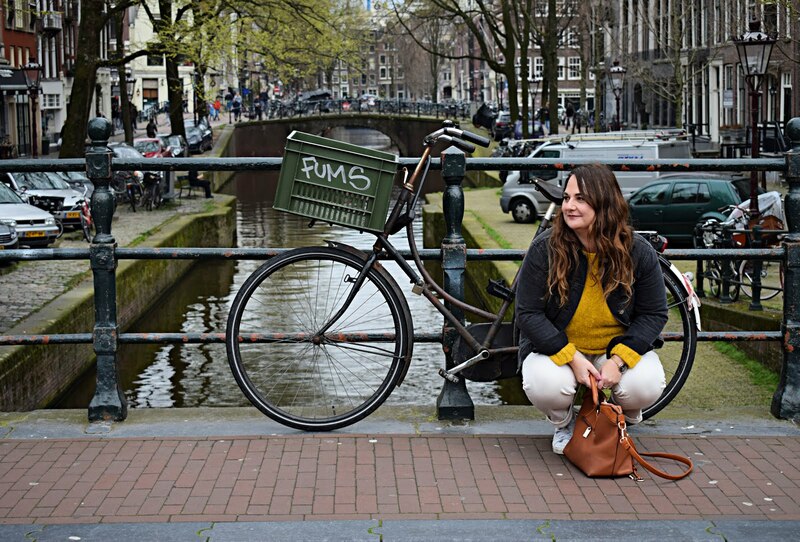 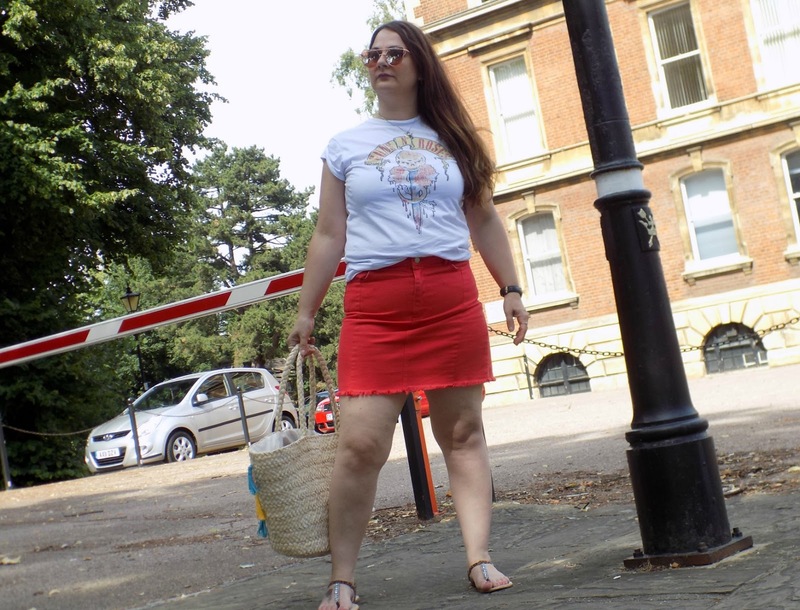 I have been after a denim skirt for yonks, but just couldn't find the "one", everyone I tried just wasn't right, either too short, to tight or just made me look like a sack of potatoes. 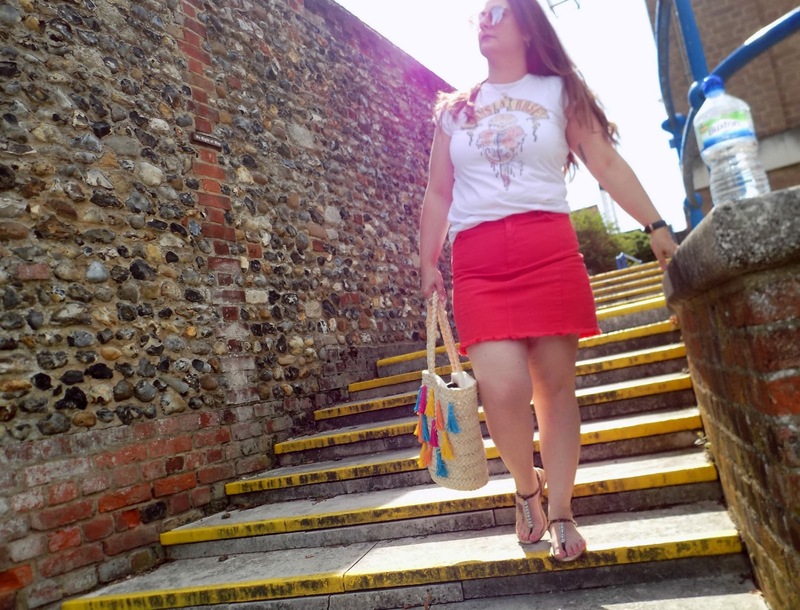 I had all but given up hope until I spotted this red stunner in New look last week, Unfortunately I cannot find it online to link it, but I guess it will still be in stores. 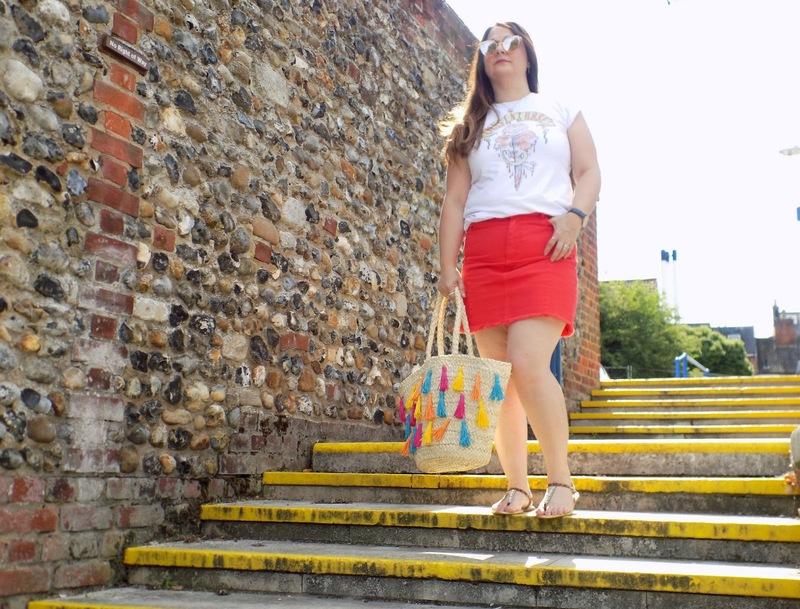 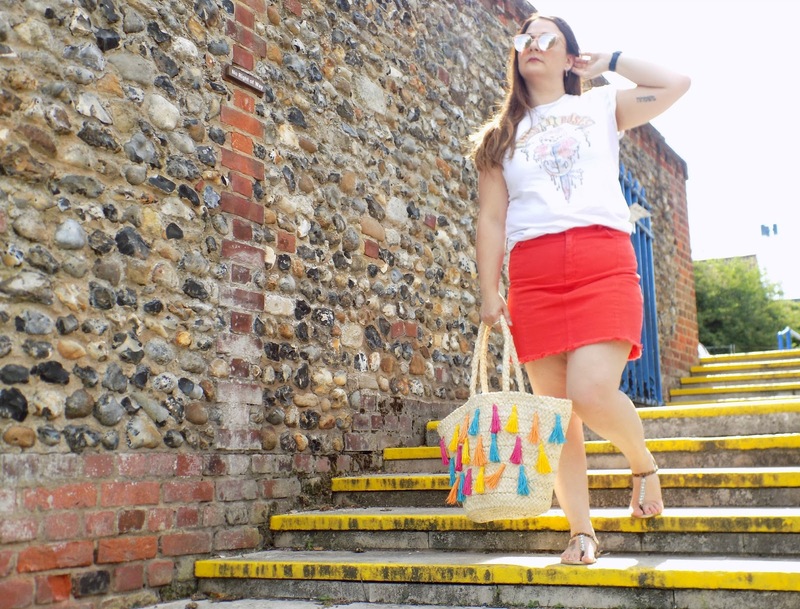 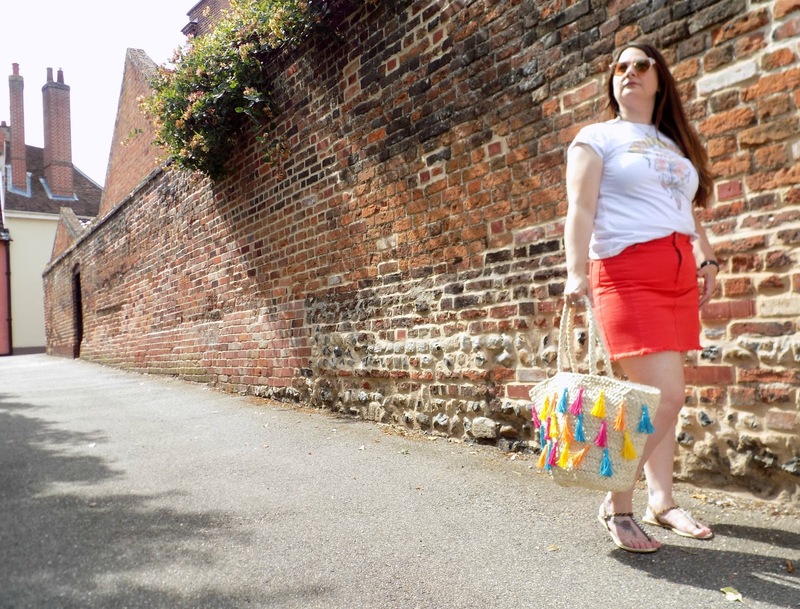 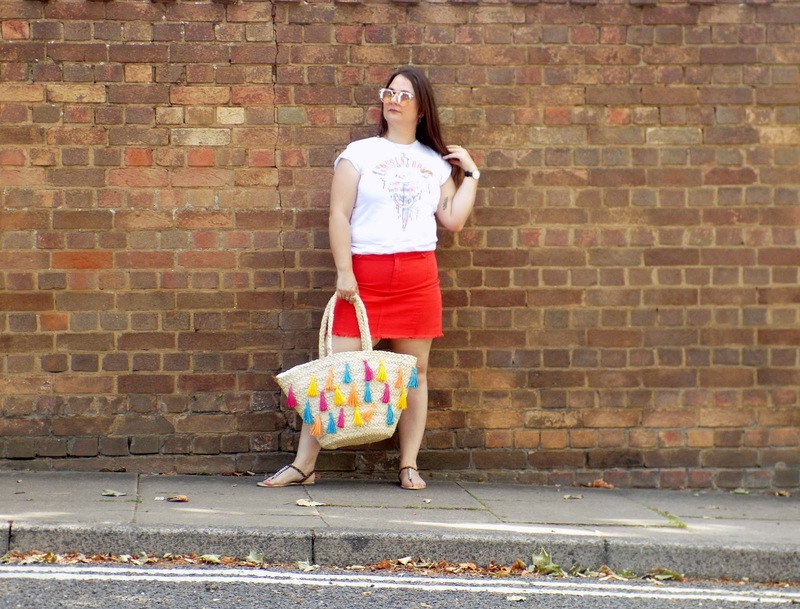 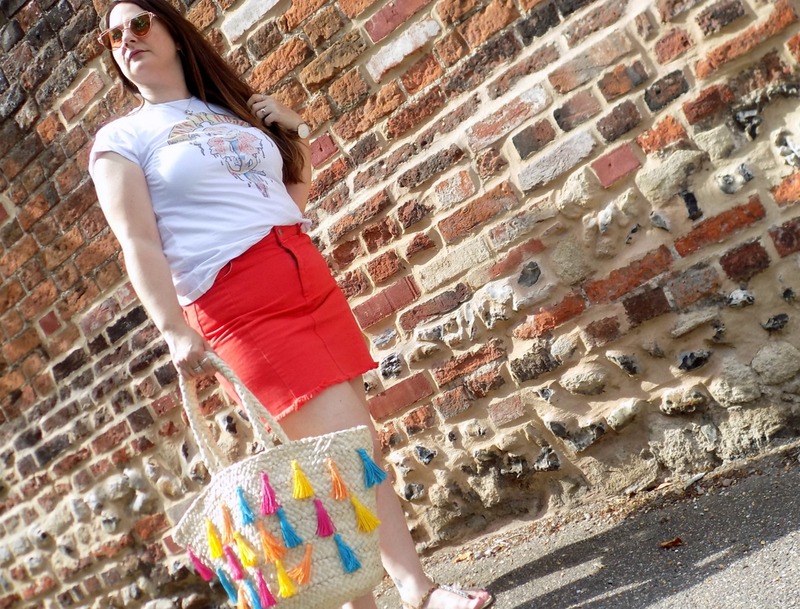 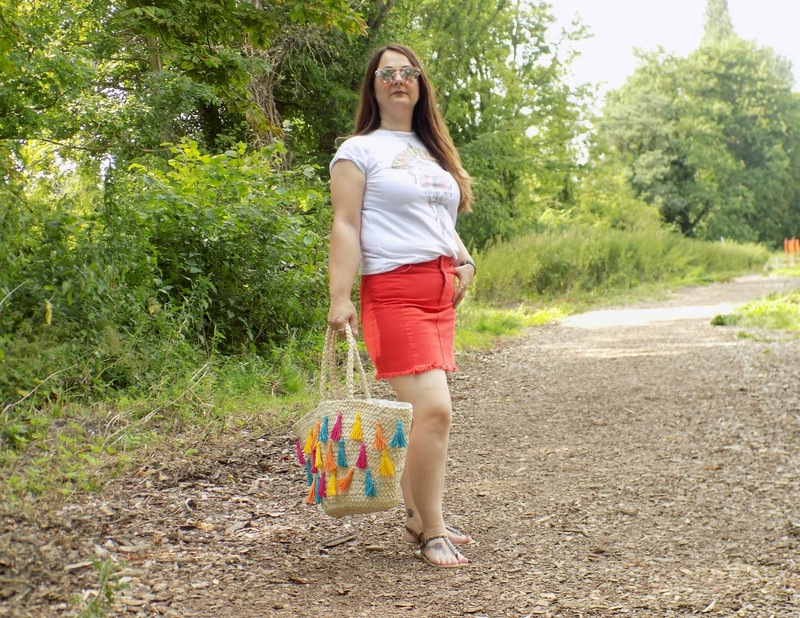 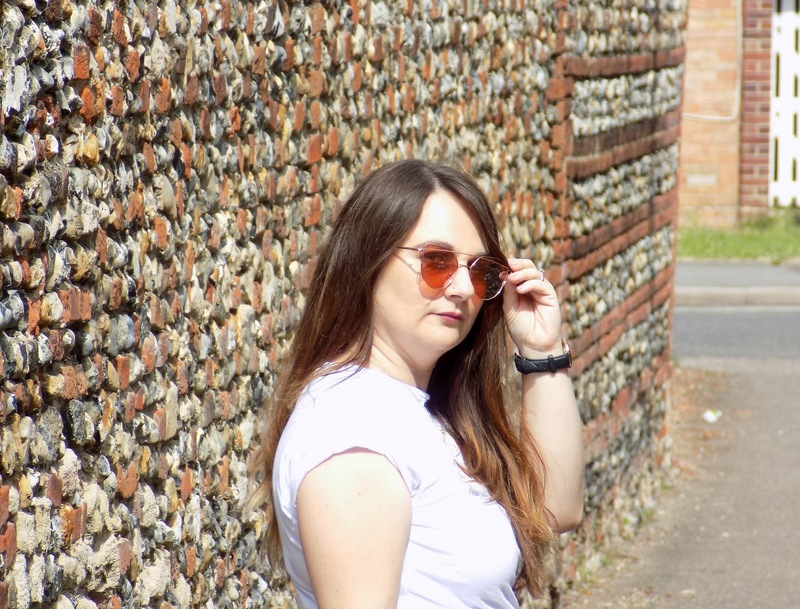 Coloured denim is not an area I have delved into, but I am so glad I did this skirt is perfection for Summer, and will be great for holiday evenings to. 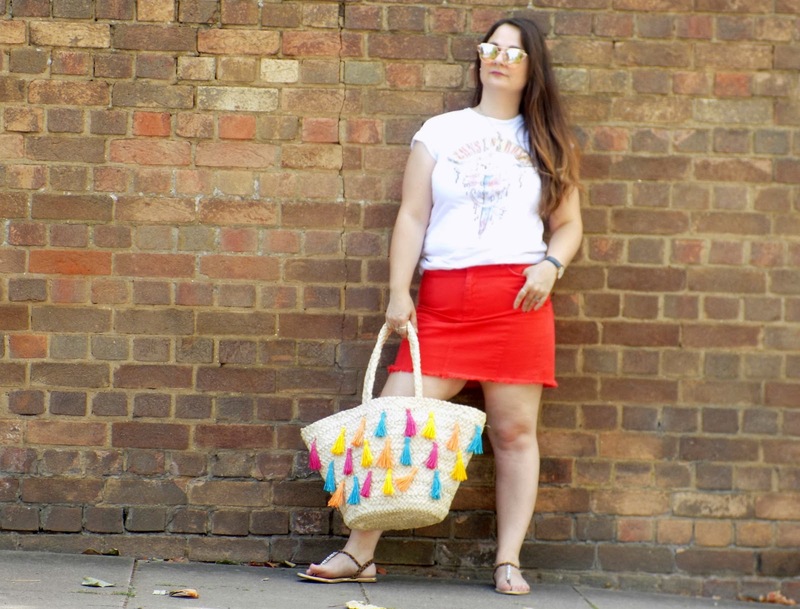 Another Summer essential is the straw bag, and this one has tassels so it's win win I picked this little beauty up in the asos sale for £12.50 so a proper bargain. 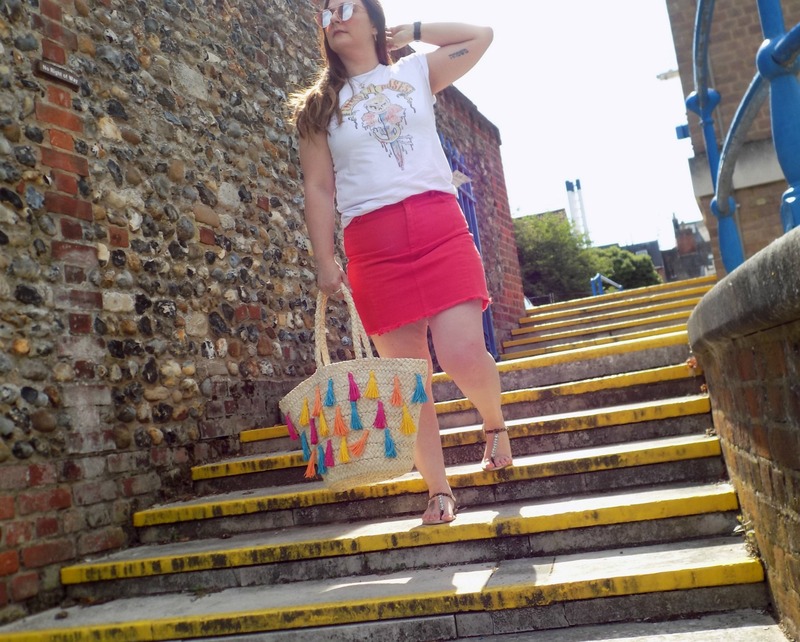 I can see me wearing this skirt loads throughout the Summer, it's just such a an easy piece. 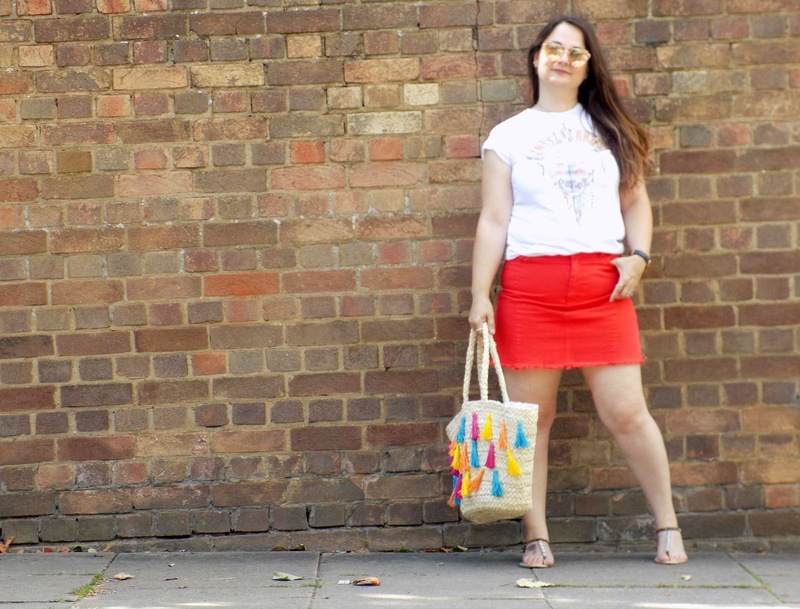 What do you think about coloured denim?